Step 2 of the Cat's Meow Mystery quilt was introduced last night at the Mayflower's Quilting Guild. First let me show you what blocks were made from Step 1. I only have a few tips for step two. 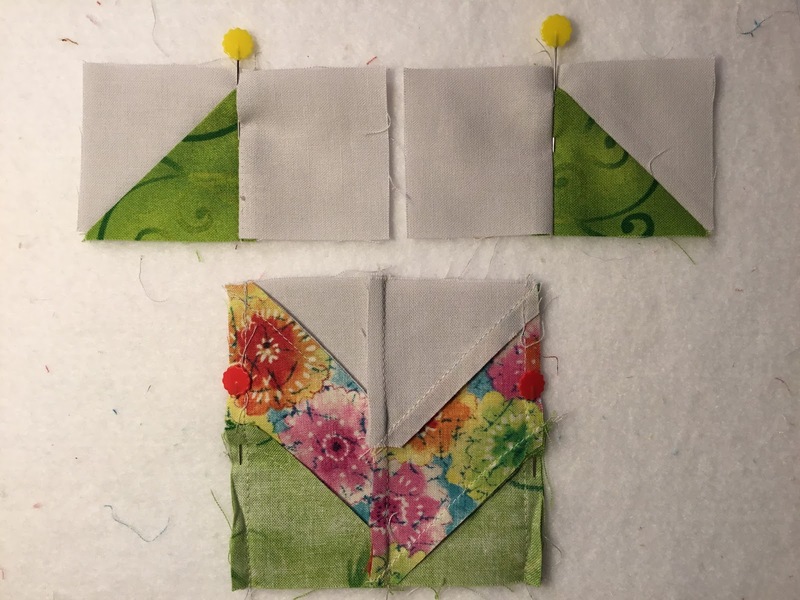 Note #1 - Before you cut any strips, the pattern tells you that you will be making half square triangles and if you have a favourite way of making them instead of how they suggest, make them your way. This may mean you cut the fabric differently. Note #2 a - Half of the half square triangles are joined to a square one way and the other half are joined another way so you end up with mirror image blocks so just be aware of this. Note #2 b - You then snow ball two opposite corners on some rectangles. Just be aware that half of the rectangles are done one way and the other half are done mirror image as well. Note #3 - The snowballed rectangles are also ironed differently, one set is ironed down and the other set is ironed up which makes sewing them together very easy as they will nest nicely. 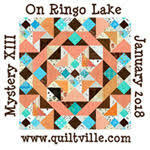 Step 3 will be given in May and a link will be provided to the Cat's Meow Mystery Quilt on-line. 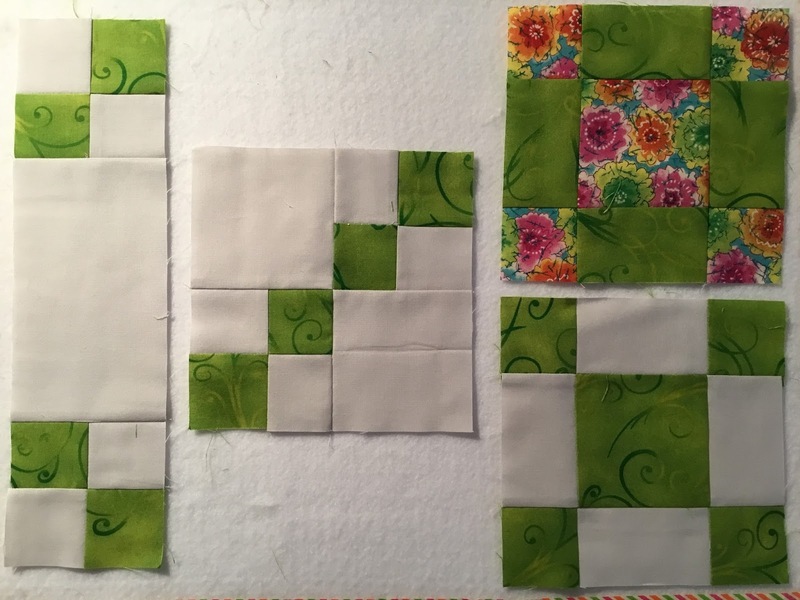 Step 4 will be to bring your completed quilt to the September meeting for the chance to win some prizes!